Tulungagung is a district area located in East Java Province. This region has a fairly developed tourism industry with a famous tourist attraction is Popoh Beach located in the district of Besuki. Tulungagung Regency also benefited from its strategic location of being on the edge of the Indian Ocean so it has many interesting beaches to visit. In addition to Popoh Beach, Sidem Beach, Sine Beach or Pantai Gemah ready to welcome your arrival while on vacation to Tulungagung District. 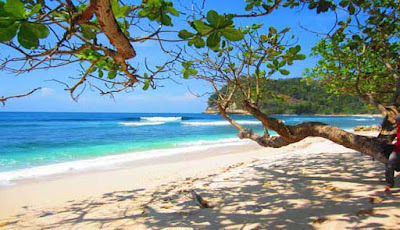 Tulungagung Regency also has many beach resorts that are worthy of your exploring. Here's the Most Beautiful Beach In Tulungagung District worth your visit and enjoy the beauty with family while visiting this region. Popoh Beach is one of the Most Beautiful Beaches in Tulungagung regency that is worth your visit while on vacation with family. The beach is located on the coast of the Indian Ocean, Tulungagung regency is a beach that has been developed well by R. R Retjo Pentung. The beach is also a Tourist Attraction Tulungagung regency is shaped bay so that the atmosphere created a distinctive atmosphere in it. The magical waves of the Indian Ocean, the not-so-strong sea breeze and the umbrella-shaped corals poking under the sea have become the main attraction of Popoh Beach you can enjoy. If you want to spend the night in this beach, the Inn facing directly to the sea is also widely available here of course with a fairly affordable price. 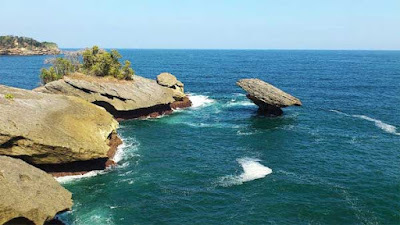 There is one more new tourist attraction in Tulungagung which unfortunately for you to miss the Coast Gemah located in Keboireng, District Besuki, Tulungagung, East Java Province. The beach is located quite hidden This presents a very beautiful beach panorama with clear blue sea water. This beach is perfect for family holidays because the waves on the beach are quite calm with a pretty cool air. In this place, you and your family can do swimming activities, relax in the shade of pine trees or play sand. In addition, this beach is perfect as a landscape photographer with a background of sand colored a little brown. Sidem Beach is one of the Most Beautiful Beaches in Tulungagung Regency that you can visit while on vacation to East Java Province with family. The beach is located adjacent to Popoh Beach is a pretty exotic landscape with a stretch of sandy beach that stretches hundreds of meters. 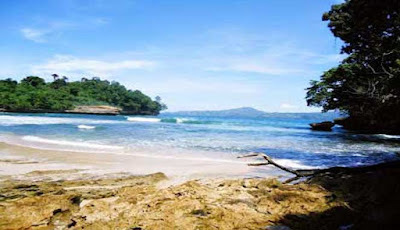 Beach located in Besole Village, District Besuki, Tulungagung regency has a grain of sand that is clean and soft and the waves are not too big will make you comfortable vacation to this beach. In addition to the location of the beach is relatively comfortable, it would not hurt you to visit this beach to unwind after busy days with a pile of work. What is interesting about Coro Beach? Beaches that have a length of about 400 meters has a clean stretch of white sand and soft. Besides this beach is still very natural and not much touched by human hands. Clear sea water and calm beach waves make Coro Beach worth your visit with family. On the beach that according to the story used to be a lot of Coro animals (Cockroaches), you can also encounter corals, plants and marine animals that live in crevices along the shoreline. While for you who like to collect shells, Come to this beach because here there are many types of shells that were stranded on the beach. Sine Beach is one of the Most Beautiful Beaches in Tulungagung District that you can visit and enjoy the panoramic moment while on vacation to East Java. This beach has beautiful beauty and panorama of nature. The beach is located in Kalibatur Village, Kalidawir Subdistrict, Tulungagung Regency, East Java Province also has big waves and is a natural beach shaped bay on the southern coast of Tulungagung regency. In addition, Sine Beach also has a high cliff with a natural shower side which comes from the springs above the cliff and also there are protected forests and the existence of a traditional fish market that you can buy to enjoy the delicious. In addition to enjoying the beauty of the beach, In this place, you are also presented with the local cultural diversity of local communities such as art wayang kulit, every date of one suro and also the procession of cultural tourism offerings. 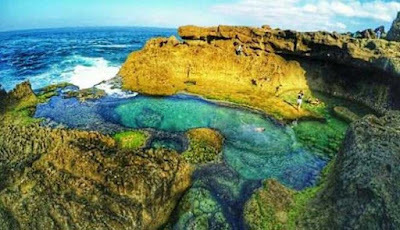 Brumbun Beach in Tulungagung Regency is one of the Best Places in Tulungagung that you can visit next. The beach is located in the village of Wenokoyo, Tulungagung District, Tulungagung Regency has a very beautiful and beautiful beach panorama. 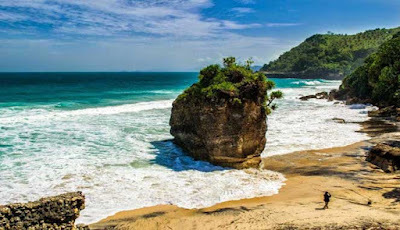 This beach is perfect to fill your vacation and family, So it is unfortunate if you visit Tulungagung regency do not visit this beautiful beach. 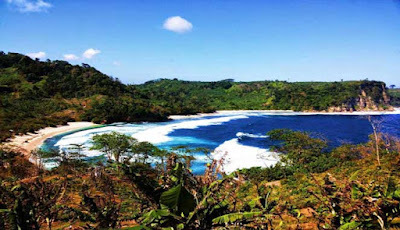 The Most Beautiful Beach In Tulungagung District next you can visit is Molan Beach located in Pucanglaban Village, Pucanglaban District, Tulungagung Regency. Beach overlooking the Indian Ocean has a panoramic view of the beach is very beautiful and amazing to enjoy. White sand beaches clean and unspoiled and kept clean it is not surprising that Molan Beach became one of the favorite tourist destinations in Tulungagung visited by many tourists. 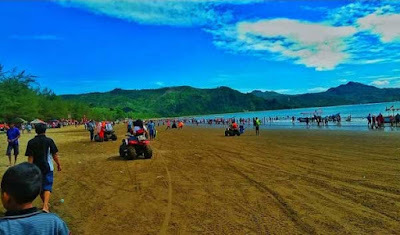 Beach tourism in Tulungagung next you can visit is Klatak Beach located on Waru Doyong Beach Road, Keboireng Village, Besuki District, Tulungagung Regency. Beautiful beach and can give a different sensation has a very interesting beauty to be enjoyed. Klatak beach is perfect for you who want to fill the holidays with family. The specialty of this beach is the number of stones arranged neatly along the shore lips. Unique small stones that if exposed to the waves will produce klatak sound repeatedly. In addition, this beach has fairly calm waves so it can make your soul will feel calm on this beach. If you want a vacation to the beach with a calm and comfortable atmosphere, Pantai Gerangan is the place. 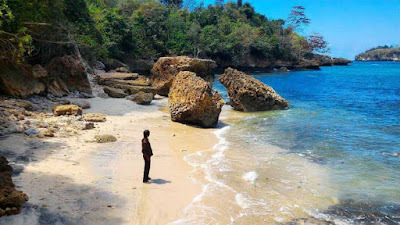 The beach is located in the Village Ngrejo, Tulungagung District, Tulungagung regency is a quiet and comfortable beach as a place to relax so many tourists who visit this beach. The charm of the beauty that this beach offers is quite interesting to enjoy. White sand beaches with calm blue waters will make you feel at home for long on this beautiful beach. 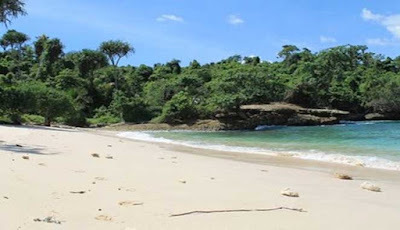 Beach Sanggar in Tulungagung is an unspoiled beach and quite hidden in its existence. 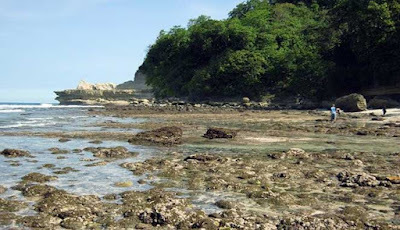 The beach is located in the Village Jengglung Harjo, Tulungagung Regency offers a clean white sand beach with fairly calm waves. Around the beach, there is also a limestone hill that will add to the beauty of this mainstay beach tour Tulungagung regency. In addition to enjoying the beauty of the beach, At Beach Sanggar, you can do swimming activities, relax or photographed Selvi with a very beautiful green hill background. Tulungagung is one of the regencies in East Java province that has many beautiful and exotic beaches that are worth your visit. One of them is Ngalur Beach located in Jenglung Harjo Village, Tulungagung District, Tulungagung Regency, East Java Province. The scenery on this beach is very beautiful and beautifully charming with a stretch of soft white sands soft and blue sea water and calm. In addition, this beach also has a lot of good spots for you to do selfie photos. Pantai Lumbung may still sound familiar to your ears. But the beach is located in the village of Pucanglaban, Pucanglaban District, Tulungagung regency, which borders directly with the Indian Ocean has a coastline that is not too wide but has the beauty of exotic beaches. The white sandy beach is clean as far as the eye is surrounded by high cliffs and Lumbung-shaped rocks scattered around the beach so that the character of this beach at the same time the origin of the name Lumbung Beach. 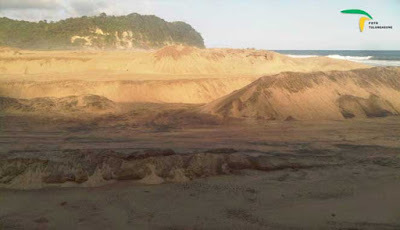 Who would have thought sand dunes exist only in Jogjakarta? 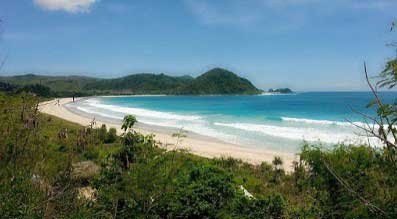 Apparently, in Dlodo Beach, Tulungagung regency also keeps the charm of the coastal desert. Dlodo Beach sand stretches almost 2 kilometers with sand dunes along its shores. Sand Dunes or Sand Dune is a formation of nature because the process of wind called the eolean landscape is the wind that brings the sand will form various forms and types of sand dunes. Sand Dunes is a hallmark of Dlodo Beach that you can see that rarely happens on other beaches in the world. This sand beach formation composes into an elongated ridge and becomes the main attraction of tourists visiting this beach. In addition to its own uniqueness, Dlodo Beach is perfect for you who have a hobby of surfing. Wave as high as 5 meters waiting for you to be conquered on this beach. 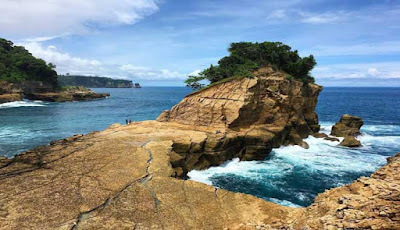 The Most Beautiful Beach In Tulungagung District next you can visit is Pathok Gebang Beach in Jengglung Harjo Village, Tanggunggunung Subdistrict. This beach is still quite natural and its location is quite hidden so it is suitable for you who want a vacation looking for tranquility. To reach this beach requires extra struggle and effort. A winding and difficult road will test your guts and adrenaline. But upon arrival at this beach, you will be greeted with a beautiful panorama and a sparkling clean white sand. Waves as high as 5-7 meters ready to welcome you to surf conquering big and challenging waves of this. The most beautiful beach in Tulungagung you can visit is Kedung Tumpang Beach located in Pucanglaban Village, Pucanglaban District, Tulungagung Regency. If you call the beach anti-mainstream, Beach Kedung Tumpang worth mentioning. Because this is the most beautiful beach with the most beautiful natural pond in Java. This beach is actually a cluster of coral that crushed the waves so as to form a natural basin of lagoon pond filled with sea water. The shape of this lagoon is very beautiful and the water is very clean and clear. You can swim here like a private pool with a pretty view overlooking the Indian Ocean.